With the endeavour to bring technology and culture together, a unique ATM -Any Time Modak Ganesha-- has been installed in Pune's Sahakar Nagar in Maharashtra on the auspicious occasion of Ganesh Chaturthi. Since everyone is trying to come up with a creative idea on the occasion, a person based in Pune has installed elephant-headed Lord Ganesha idol inside an ATM Machine. 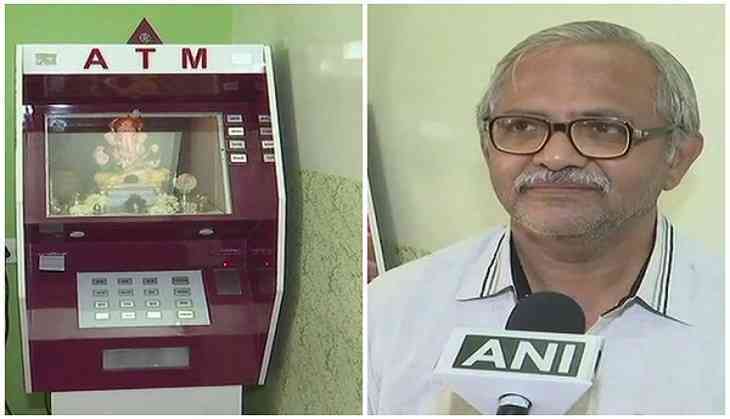 Speaking to ANI about the creativity, Sanjiv Kulkarni, the inventor of this ATM said, "It is ATM-Any Time Modak. You will get a modak through this ATM by inserting a special card. It was an attempt to move forward with technology and culture together." This unique machine is exactly like the usual ATM. When a special card is inserted in this Lord Ganesha ATM, a properly packed modak comes out. There are also buttons on this ATM, but instead of numbers, things like forgiveness, devotion, affection, peace, knowledge and charity are written on it. This unique ATM has also become a centre of attraction for many.